Is Dolby Vision the only HDR video solution? So how does Dolby Vision compare to HDR10? Is Dolby Vision the only HDR solution that uses Dynamic Metadata? How is Dolby Vision related to Ultra HD Premium? Is Dolby Vision tied to Ultra HD or any specific resolution? Can Dolby Vision devices handle HDR 10? Does Dolby Vision use 12-bit video? Is Dolby Vision for cinema the same as for Home Theater? What version of HDMI does Dolby Vision require? Do both source device (e.g. Ultra HD Blu-ray player) and display device (e.g. Ultra HD TV) need to have Dolby Vision support built in? If so, why? Do all Ultra HD Blu-ray players support Dolby Vision? Do OTT video streaming services support Dolby Vision? Does Dolby Vision dictate a TV’s picture settings? 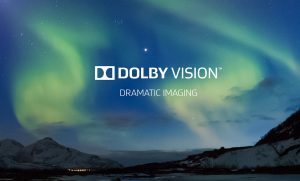 Which film studios support Dolby Vision? What films have been made with Dolby Vision? Will all of these films be released with Dolby Vision HDR on Ultra HD Blu-ray? Dolby Vision™ transforms the way you experience movies, TV shows, and games with incredible brightness, contrast, and colour that bring entertainment to life before your eyes. By fully leveraging the maximum potential of new cinema projection technology and new TVs’ display capabilities, Dolby Vision delivers high-dynamic-range (HDR) and wide-colour-gamut content. The result is a refined, lifelike imag that will make you forget you are looking at a screen. No, there are a number of proposals by different companies. The Blu-ray Disc Association has defined HDR10 as mandatory for the new Ultra HD Blu-ray format, meaning both discs and players have to support it. The BDA has designated two other HDR standards as optional, namely Dolby Vision and Philips’ HDR format. There’s a wide range of Standards Defining Organizations (SDOs) working on specifications and guidelines for HDR video including SMPTE, ATSC, DVB, ITU and ARIB. Dolby Vision compared to HDR10? Most of the differences between the competing standards arise around colour bit depth and brightness. Dolby Vision films are mastered in up to 12-bit colour, whereas HDR 10 is mastered for 10-bit colour, hence the name. Films are colour graded specifically for Dolby Vision and studios have to provide artistic approval of Dolby’s mastering. The difference that 12 bit makes is that Dolby Vision has 4,096 possible RGB values versus the 1,024 values for HDR 10 meaning greater granularity of colour production. A 10-bit colour depth amounts to over 1bn colours, whereas 12-bit opens it up to over 68bn colours. Needless to say, both offer a far wider colour gamut than non-HDR sets of today, which make do with just 256 RGB values for 16m colours. All Dolby Vision branded TVs will support the 12-bit colour depth required. HDR10 and Dolby Vision are HDR schemes based on what is called a Perceptual Quantizer or PQ. This technology for an Electro-Optical Transfer Function (EOTF) was developed by Dolby and standardized by SMPTE as ST.2084. HDR10 uses the PQ with static metadata. The HDMI 2.0 standard has been updated to version 2.0a to accommodate this metadata. Dolby Vision meanwhile can operate in any of the first four modes, though typically/ideally uses dynamic metadata in either of two configurations – single layer or double layer. The fact that both Dolby Vision and HDR10 use the same SMPTE ST.2084 standard makes it easy for studios and content producers to master once and deliver to either HDR10 or, with the addition of dynamic metadata or more layers, Dolby Vision. The dynamic metadata is not an absolute necessity, though using it guarantees the best results when played back on a Dolby Vision-enabled TV. HDR10 uses static metadata which ensures it will still look good – far better than Standard Dynamic Range (SDR). Even using no metadata at all, SMPTE 2084 can work at an acceptable level just as other proposed EOTFs without metadata. There are two types of Dolby Vision: single-layer and dual-layer. The single-layer variant is a pure HDR-only video stream whereas the dual-layer type contains an SDR and a HDR signal. Dolby has come up with a single workflow that can simultaneously deliver SDR and HDR. The signal can be encoded in HEVC or AVC. Not requiring dual workflows is a benefit for all involved in content production. The system lets the broadcaster choose where to derive the SDR signal. If it’s done at the head-end they can choose to simply simulcast it as another channel or convert the signal to dual-layer single stream signal at the distribution encoder for transmission. Alternatively, the HDR-to-SDR conversion can be built into set-top boxes. Moreover, the SDR distribution signal that’s derived from the HDR original using Dolby’s content mapping unit (CMU) is significantly better in terms of detail and color than one that’s captured natively in SDR, as Dolby demonstrated side by side at various shows. The metadata is only produced and multiplexed into the stream at the point of transmission, just before or in the final encoder – not in the baseband workflow. Dolby Vision is the first HDR solution to employ dynamic metadata but it’s no longer alone. Samsung has developed and proposed an alternative technology for dynamic metadata. Ultra HD Premium is a certification and logo programme offered by the UHD Alliance for products that meet certain standards. Dolby Vision is a technology standard that is licensed by Dolby Labs. The UHD Alliance has defined requirements for ‘Ultra HD Premium’ for displays, content and distribution. The HDR requirements for displays specify black level and peak brightness. For content, specific black level/peak brightness and minimum color gamut (DCI-P3) of the mastering display are recommended. For all three categories the spec stipulates use of the SMPTE ST 2084 EOTF. It specifies ST 2084 + ST 2086, which allows Dolby Vision, HDR10 or Technicolor/Philips HDR. This means for instance that a TV set may be eligible for the Ultra HD Premium logo, the Dolby Vision logo, neither, or both. It depends on its specs. One does not imply the other. Dolby Vision is thus far found in ‘4K’ Ultra HD TVs and cinemas/theatres but it is flexible for use with different resolutions. While it’s not so likely we’ll see TV makers release HDTV sets with Dolby Vision, it would be possible. More likely you’ll see tablets, notebooks or other mobile devices – possibly with lower resolution than UHD – featuring Dolby Vision. Also future ‘UHD-2’ displays with 7680×4320 resolution, commonly referred to as ‘8K’, could use Dolby Vision. And although HDTVs with Dolby Vision or any other HDR technology are not foreseen, broadcasts in 1080p HD with HDR are highly probable. Thar’s because many broadcasters as well as satellite and cable operators, faced with limited bandwidth. favor broadcasting in HD+HDR over UHD, as HDR adds only between 0 and 20% to the required bandwidth, compared to 300% for UHD. A diagram in the Dolby Vision White Paper mentions two resolutions: UHD and HD. Dolby Vision uses two Video Elementary Streams (VES). The primary one is full resolution (in the diagram UHD or HD) while the secondary VES has one quarter of the resolution (here HD or 1/4 HD, respectively). Not always. some Dolby Vision equiped TVs can not handle HDR10, though this should be solved with future software updates. Most oTVs with Dolby Vision do support HDR10. Dolby has developed a ‘universal playback solution’ for HDR, called ‘VS10’. This solution fwill receive any HDR format based on SMPTE ST-2084 and ST-2086. Of course, it delivers the best HDR experience with Dolby Vision. Devices based on Dolby Vision VS10 will play back a variety of HDR content types, including HDR10 from Ultra HD Blu-ray and UHDA-certified HDR content. VS10 has been adopted by several semiconductors manufacturers, including HiSilicon, Mediatek, Mstar and RealTek. TVs made using these chipsets should easily to support HDR10. Dolby uses 12-bit colour depth for cinematic Dolby Vision content to avoid any noticeable banding, though the format is agnostic to different colour depths and works with 10-bit video as well. Dolby recommends 10-bit colour depth for broadcast. No, Dolby Vision for theatrical and home delivery are very different in many respects. such as the difference in colour bit depth. Moreover, the dynamic range and colour space are different for cinema projection and home displays. Consequently, colourists need to grade to a different standard for cinema and home releases. During the colour grading process in post-production, the Dolby Vision workflow enables the colourist to perform a scene-by-scene analysis of the particular look that they are going for. Once determined, a set a metadata is generated for this scene, then married to the picture and transmitted on a frame-by-frame basis. This type of metadata is referred to as dynamic metadata. This concept is specific to Dolby Vision and adds a layer of performance and fidelity on top of other concepts that only use static metadata. In addition to the scene-based dynamic metadata mentioned above, there are also some static metadata parameters, such as specifications of the mastering display used during the colour grading process. This data does not change for the duration of the programme and is called static metadata. This is data can be carried via the existing HDMI standard. Dolby Vision does not require HDMI 2.0a or 2.1. It embeds the metadata into video signal. Knowing that previous versions of HDMI would not pass the Dolby Vision dynamic metadata, Dolby developed a way to carry this dynamic metadata across HDMI interfaces as far back as v1.4b. The HDMI specification is now catching up with v2.0a supporting static metadata and future versions expected to support dynamic metadata as well. Dolby’s intent is not to compete with HDMI, merely to enable deployment of a full Dolby Vision HDR ecosystem without having to wait for HDMI standardization to catch up. Dolby was and is directly involved in standardizaton of the current and future versions of HDMI. Most Dolby Vision content is in Ultra HD and requires HDCP 2.2 copy protection, which is only available on HDMI 2.0 and up. Note that only external sources like Ultra HD Blu-ray players and streaming devices such as Roku or Amazon Fire TV rely on HDMI connections to feed the video to a TV. For streaming apps like Netflix, Amazon Prime, Vudu and M-GO the HDMI version is irrelevant when the app is running on a Smart TV because the HDR signal can bypass HDMI completely. Do both source device (evternal) & display device (Ultra HD TV) need to have Dolby Vision support built in? The Dolby Vision playback process consists of two distinct functions: decoding and display mapping. Decoding always happens in sources devices before HDMI transmission. HDMI always carries decoded video, never a bitstream in the case of video (audio is different). Therefore, it is necessary to perform the decoding function also for Dolby Vision in the Blu-ray player, set-top box, game console etc. This is also where graphics overlays such as on-screen menus etc. get handled. This is particularly challenging for HDR content and Dolby’s playback solution is specifically designed to handle this for any input type – Dolby Vision, HDR10 or SDR (standard dynamic range) – as well as any type of TV –HDR or non-HDR. The display mapping happens in the device with the display. This is where dynamic range and color gamut of the incoming content get mapped to the capabilities of the display. Every TV is different, which is why this function cannot be performed in the source device while preserving artistic intent and colour accuracy. Every Smart TV with Dolby Vision has a decoder for the onboard OTT apps, as the video for that type of content is decoded directly in the TV. None of these supports Dolby Vision at present. Amazon Prime Video and Netflix support Dolby Vision (as well as HDR10), and Vudu only supports Dolby Vision. M-Go and Sony Ultra support HDR10, though not Dolby Vision. Some UHD TV reviews suggest Dolby Vision dictates picture settings to TVs, overruling any user settings. Dolby Vision does not force the TV to override your settings, this is left to the television manufacturer to decide. The Dolby Vision HDR standard does not insist that content can lock down your picture settings. A number of Dolby Vision movies are already available on some VoD services (Vudu, M-Go). No film titles with Dolby Vision have been released on Ultra HD Blu-ray at present. That may have to do with the lack of authoring tools, Sony DADC and Scenarist LLC have announced that they will add Dolby Vision support to their Blu-ray authoring tools. That decision is up to the individual film studios. At present, not all studios listed here have committed to releasing films on Ultra HD Blu-ray. Major Hollywood studios who support the format include 20th Century Fox, Sony Pictures, Warner Bros. Home Entertainment, Paramount Pictures, Lionsgate, MGM Studios and Universal Pictures.